Huddersfield are winless in their last 10 league meetings with Leicester (D1 L9) since a 3-1 victory in the second tier in November 1995. 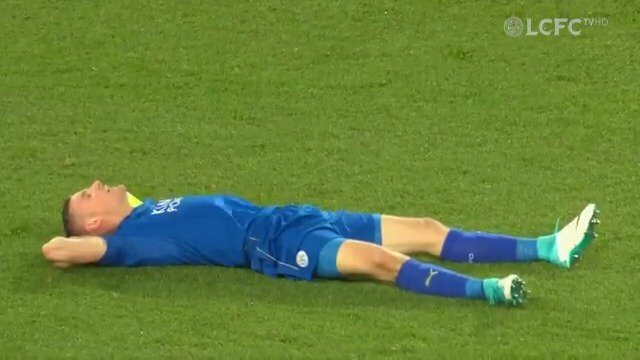 Leicester have only failed to score in one of their last 21 league meetings with Huddersfield (0-1 in November 1987), finding the net in each of the last 12. Huddersfield haven’t scored more than once in their last 21 Premier League home games (8 goals in total) and have lost eight of their last nine at the John Smith’s Stadium (W1). Leicester have only failed to score in one of their 16 Premier League away games this season (0-1 vs Crystal Palace). Already relegated Huddersfield have taken just four points from their last 57 available in the Premier League (W1 D1 L17). Leicester have won their last three Premier League games, last winning four in a row in December 2017 under Claude Puel. Huddersfield will be the 31st different side Leicester manager Brendan Rodgers has faced in the Premier League – he’s beaten 27 of the previous 30 he’s come up against, failing only against Chelsea (8 games), Wolves (2) and Watford (1). Leicester manager Brendan Rodgers has already won three of his four Premier League games in charge of the Foxes. It took him 15 games to win four matches at his of his previous clubs in the competition (Swansea City and Liverpool). Steve Mounie is the only Huddersfield player to score more than once in Premier League home games this season, with the Beninese forward netting twice at the John Smith’s Stadium. Leicester captain Wes Morgan has scored in his last two Premier League games, and could become the first Jamaican to net in three consecutively in the competition since Ricardo Fuller in May 2009. A liberated and rejuvenated Huddersfield to derail our recent good form and Europa ambitions? Not. On on on. Ohh, and what stonkers they were! 3-2. Fryatt double and Dyer at the death. I went to that. Fell down the feckin stairs. Happy days. What? 'cos Fitz fell down the stairs? You must have forgotten the bit where you met me for the first (only?) time. I've not been to a game at Huddersfield since then, but I'll be there on Saturday. I did not forget, and I believe it is the only time we’ve met. I would prefer another cupcake. But as I'm not going, I don't suppose it matters. Speaking of which, how were they? The cupcakes that is. I wouldn't have held out high hopes myself and presume they were (understandably) mass produced items that resembled cup cakes rather than the overpriced supposed 'home baked' bakery fare, let alone the genuine village fair treat worthy of GBBO. Not that I'm overly keen on them at all as it happens. They're not really 'cake' are they? Still, free and falls into the category of 'thought that counts', so I shouldn't be sniffy. All rather begs the question of why I'm asking? A change from pickled onion Monster Munch I guess which, in truth, I've never had. A change from pickled onion Monster Munch I guess which, in truth, I've never had. **** off to Foxes Talk. Why do you think they banned me? alone the genuine village fair treat worthy of GBBO. What on Earth is GBBO?